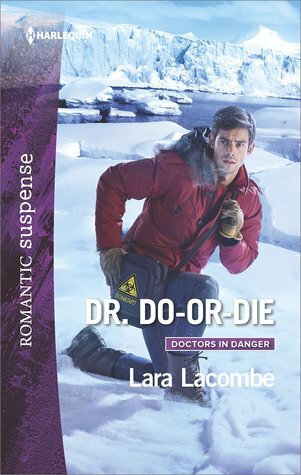 Two doctors are on thin ice as they race to save the world from a deadly disease. Epidemic researcher Dr. Avery Thatcher has studied countless illnesses…but nothing prepares her for what she finds at a remote Antarctic base: the man she never wanted to see again and a mysterious ailment ravaging inhabitants. Avery will do whatever it takes to discover the illness's cause, and she vows to keep her heartbreaking history with Dr. Grant Jones in the past—even if reignited passion brings them dangerously close. For Grant, ending this outbreak and regaining Avery's trust are vital. As their hunt to contain a lethal pathogen escalates, he'll put everything on the line to avert disaster. But will another insidious threat stop them both cold? An exciting ride of terror filled moments as they rush to stop an unknown disease before it catches up with them all! It keeps you guessing trying to figure out who all is behind the bad doings, and wondering if they are going to find them before more people are lost. I wanted a little bit more of a connection between the main characters. I felt their past was show-cased well, but the reunion and current relationship could have had a little more oomph to it. Dr. Grant Jones isn’t expecting an epidemic to break out on the base that he’s in charge of in Antarctica, and when it does, the last person he thinks will walk through the door as the head CDC investigator is his former college sweetheart the he has never gotten over. He expected to spend the rest of his life with her, but circumstances and youthful mistakes split them up. Center for Disease Control investigator, Dr. Avery Thatcher has no clue she’s walking into Grant’s base hospital when she is sent to investigate a suspicious outbreak. She isn’t happy to see him and have the memories of how badly he let her down all those years ago flashing through her mind again. The time together lets them have the time they need to discuss each of their feelings over the past, and make peace with each other, but will they be able to put a stop to the release of this disease before they are all taken down by it?